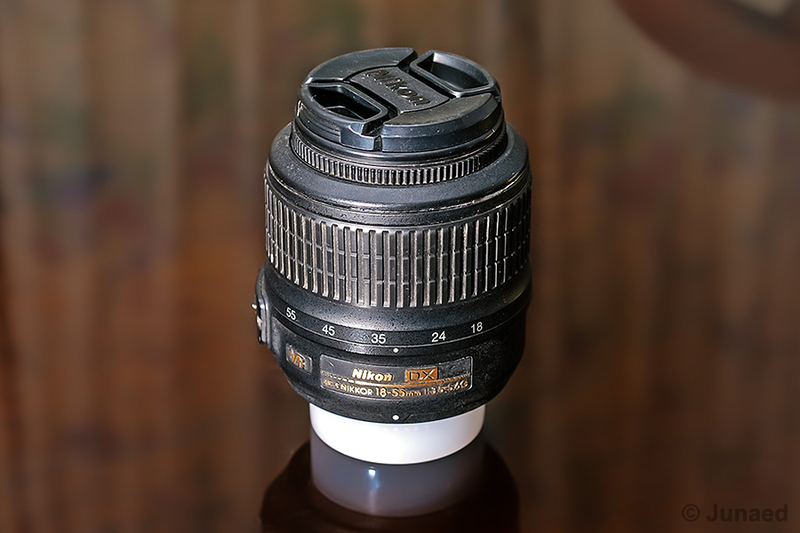 The standard tool of macro photography is a Macro lens. 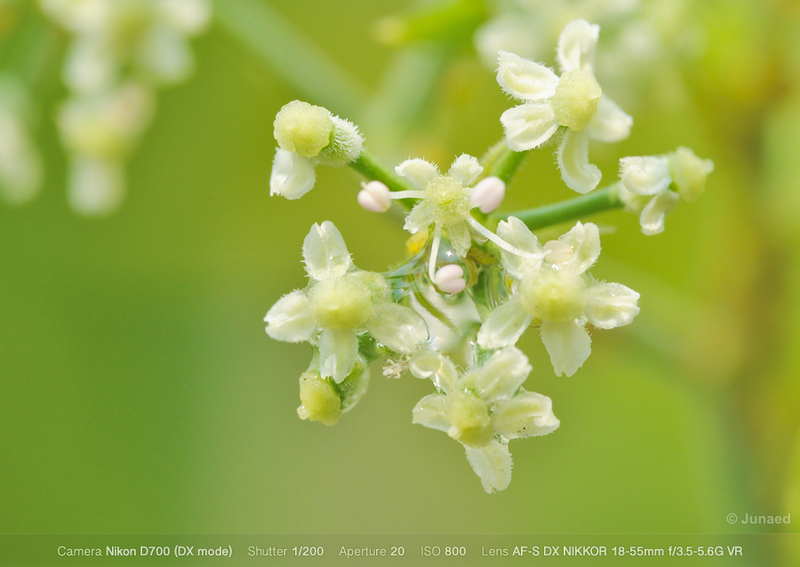 But a lot of us can’t afford a dedicated macro lens due to high expense. A reversing ring is an easy solution. 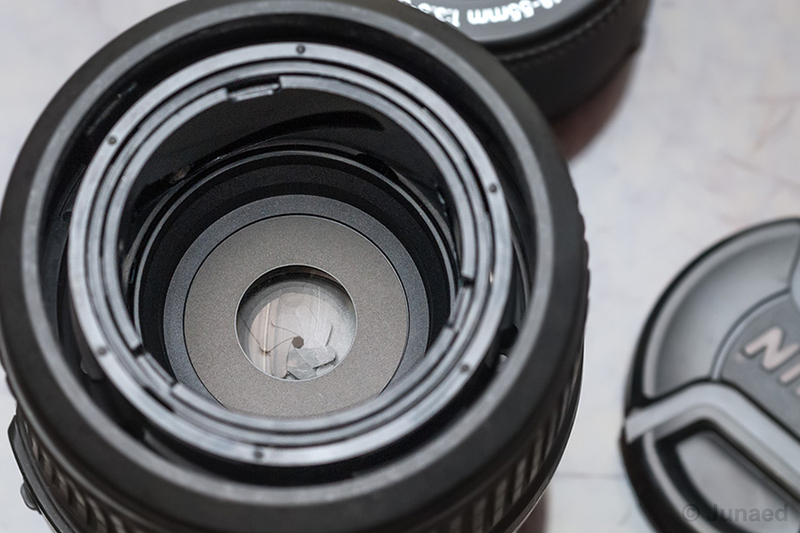 But the major disadvantage of using a reversing ring is that, you have no control on aperture. 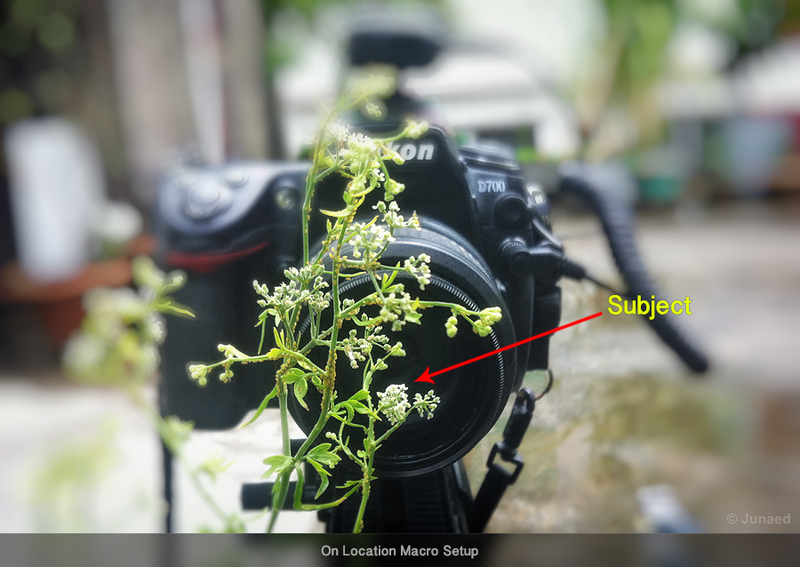 You have to set the aperture manually or use third party device to make it work. 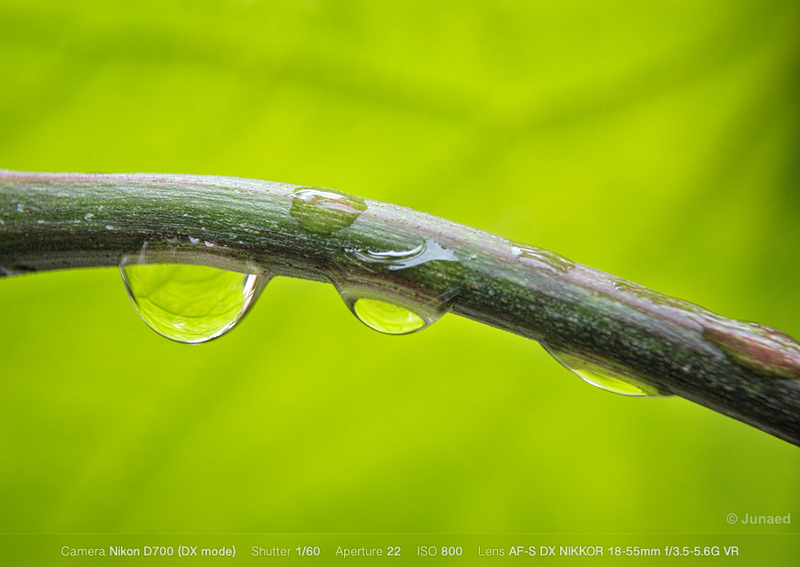 And in macro photography a hair movement of the lens while setting the aperture can make the image out of focus. 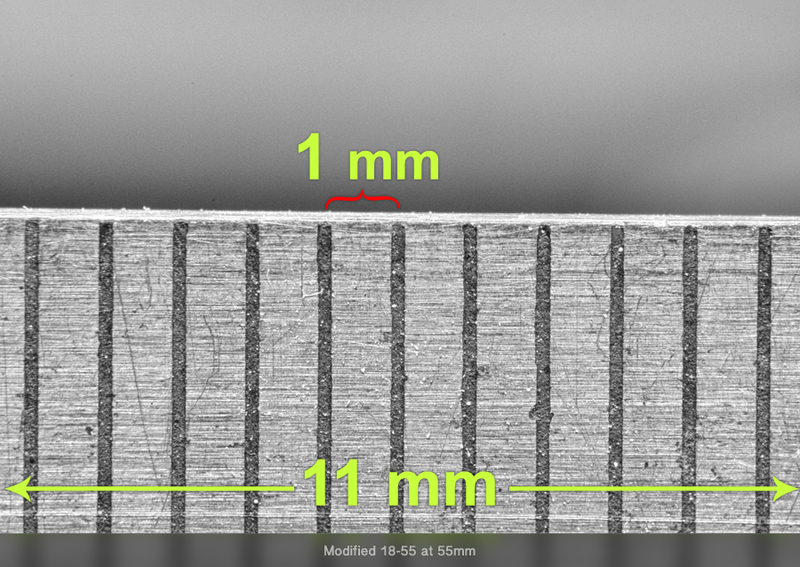 While trying various method to achieve good magnification once I suddenly discovered that if I remove the front element of zoom lens like 18-55 mm or 28-80 mm, it becomes a macro zoom lens. 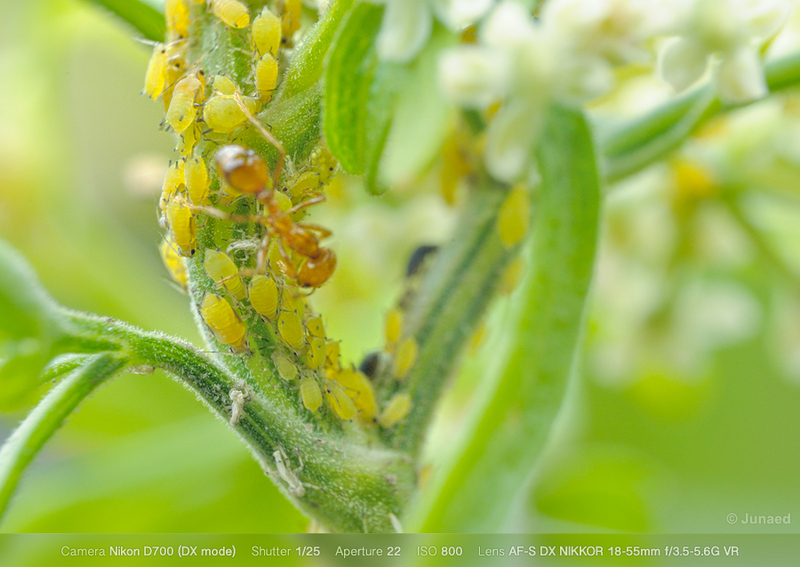 The magnification is high enough to do a lot of close up work. And you will have full control electronic control on aperture. Although they are unlikely to generate outstanding result but its always fun to do something new. *One word of caution – It will void your warranty, so do it at your own risk. 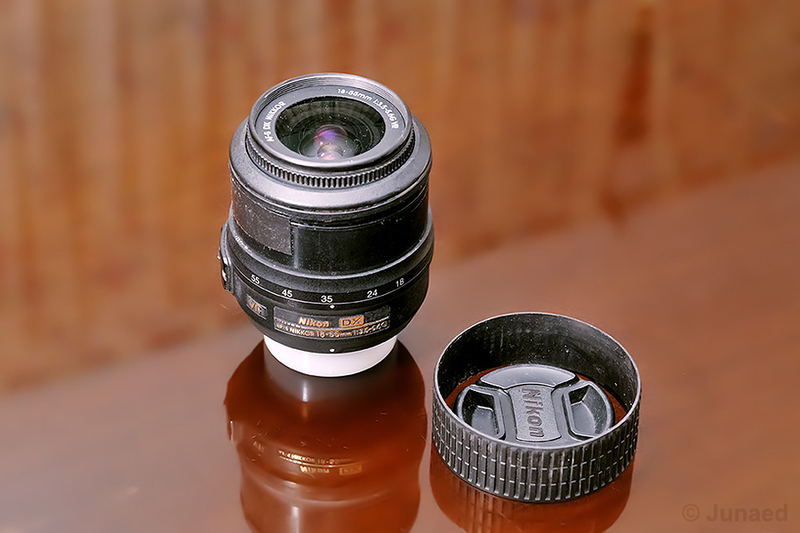 Remove the rubber grip of the zoom ring. Remove the tape that hold together the two parts of plastic zoom barrel. Now you will see two plastic clamps holding the front part of the lens. 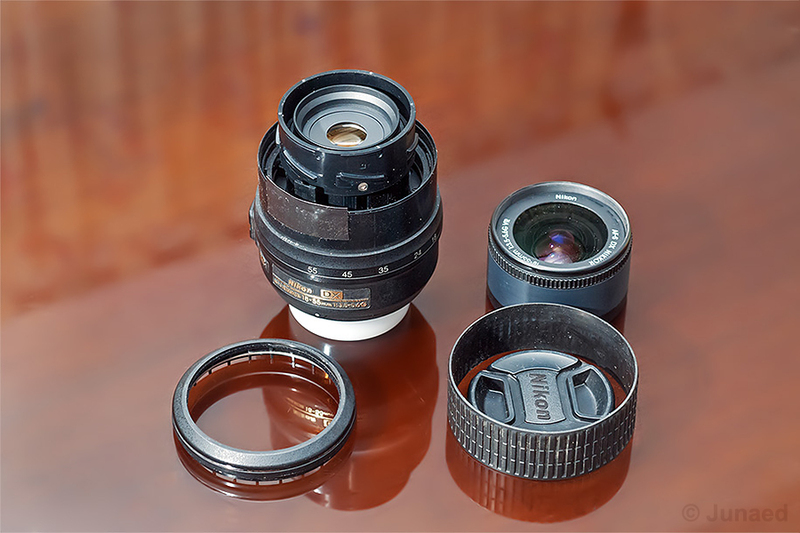 Gently release the front part of the lens from plastic clamps. Remember at which position they were. 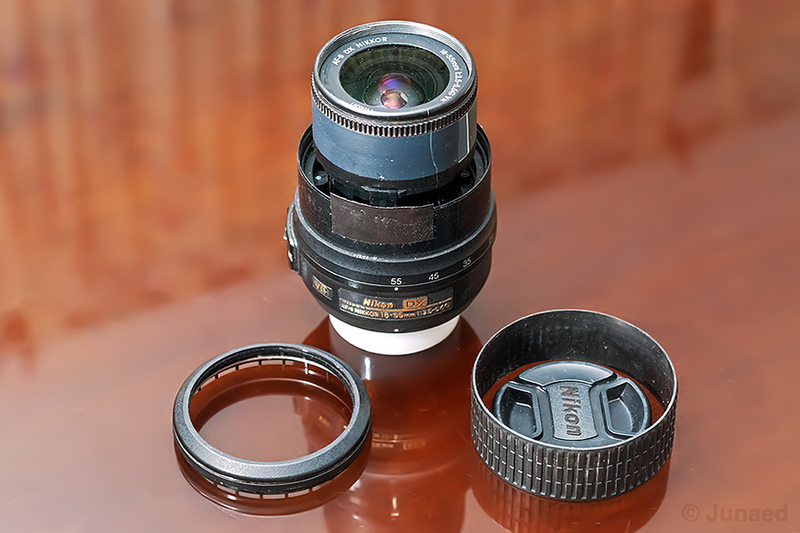 Because if you want to restore the lens you have to reattach the front part in right position, otherwise you will have focusing problem. Now reattach the plastic barrel together along with the rubber grip and you will have something like this. Its done. 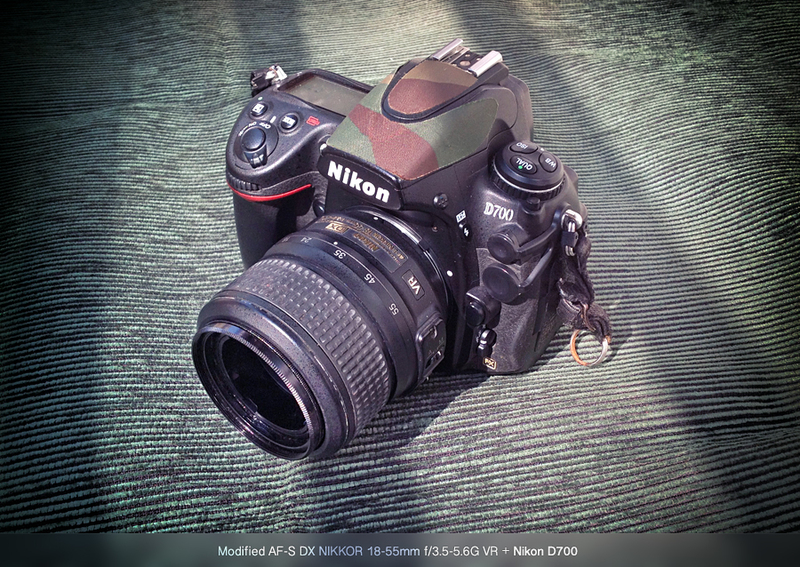 Attach the lens to your camera and see how it looks. 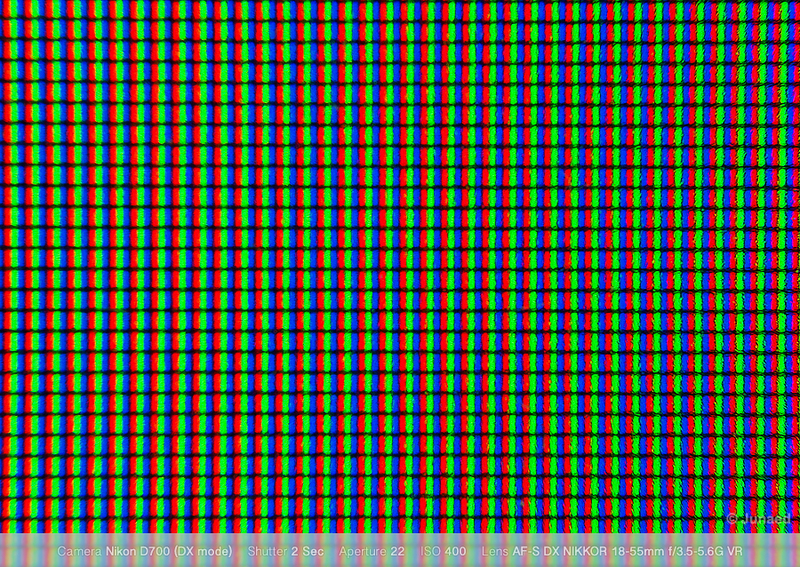 The magnification can be changed by rotating the Zoom ring. Remember you have to move forwards or backward towards the subject to get the right focus. 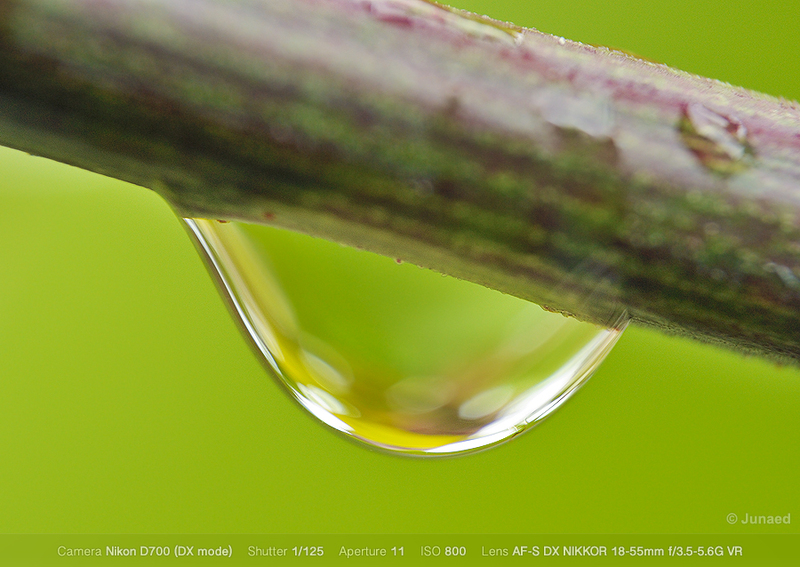 You can use a macro focusing rail for that purpose. 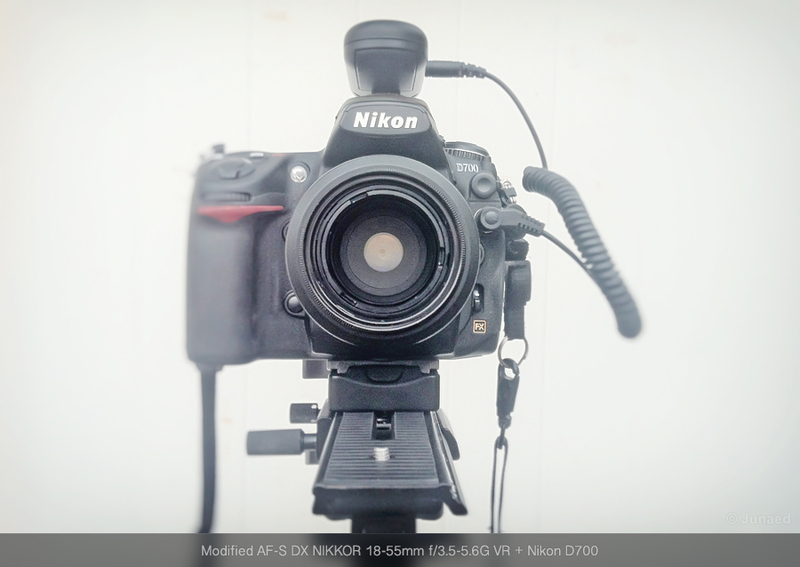 With the setup complete now you have full aperture control. 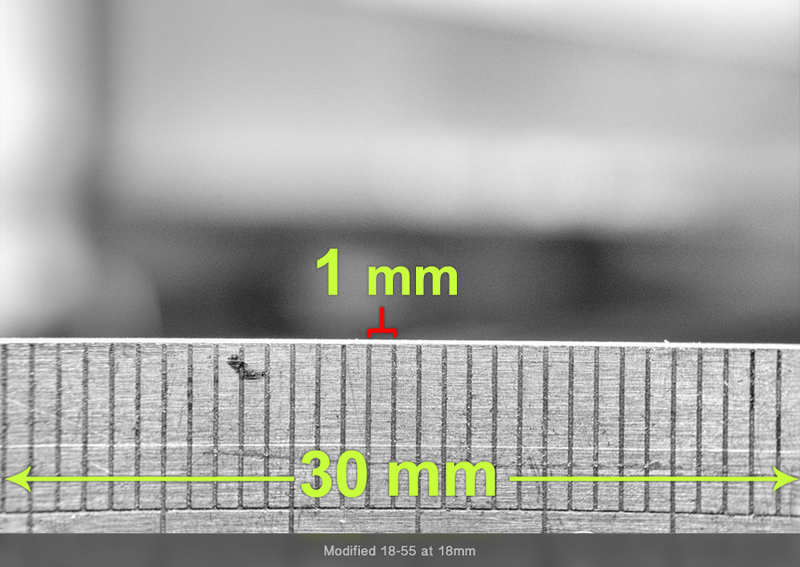 At 55 mm focal length you can take an image of 11 mm object. The Whole setup is quite small and convenient to use. 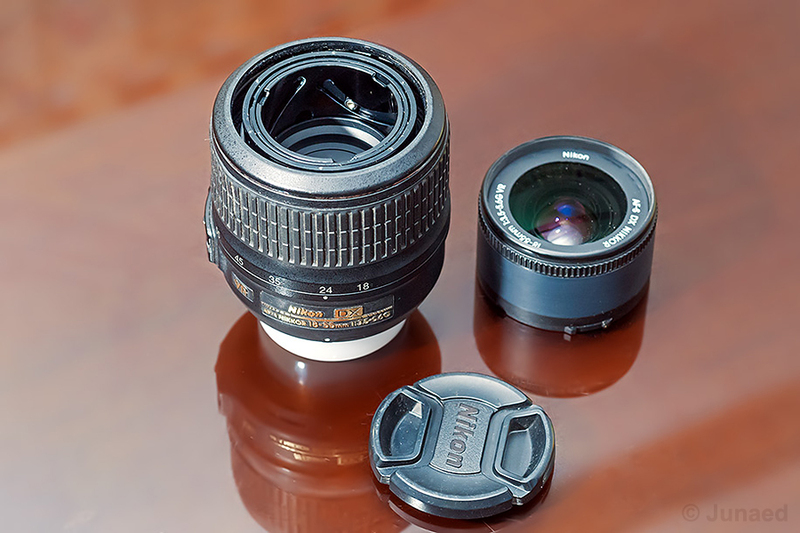 With fully functional Auto aperture you don’t have to worry about focus shift, which is a common problem with reversing ring. A good tripod and cable release is recommended for getting good result. The day I shoot the images was quite windy and rainy, so I used high ISO to get reasonable shutter speed. 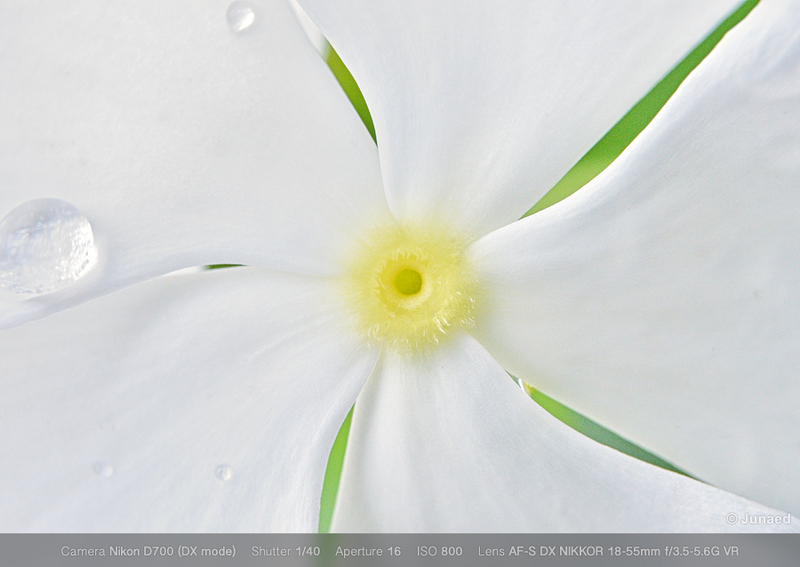 Otherwise I prefer to keep the ISO as low as possible to get smooth and rich color and tone. To minimise vibration I used mirror lock up and wireless trigger. Live view is quite helpful to get the focus right. 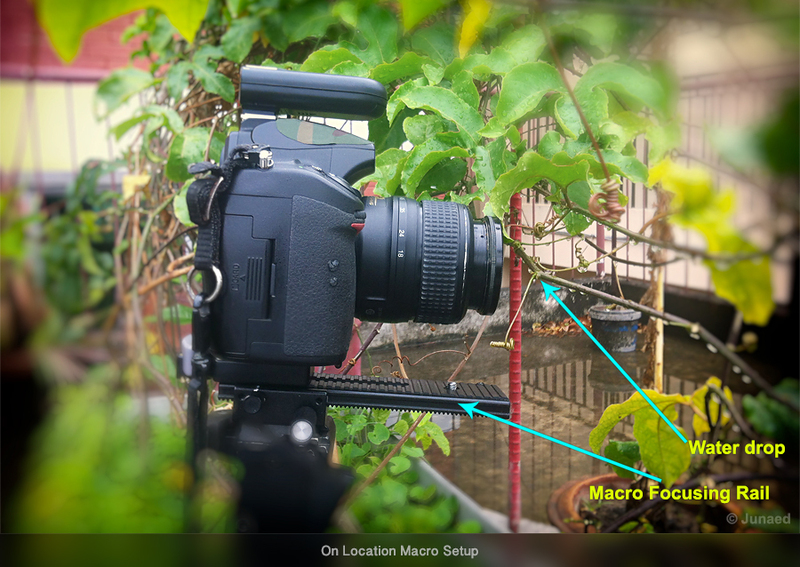 As these kit lens are really cheap compared to a dedicated macro lens this setup will help a lot of young starter to get the taste of high magnification macro photography.